Calvary Cemetery is located just west of Rockford, IL on Route 20. Visitors are welcome 365 days a year, from sunrise to sunset daily. Click here for directions to this facility. 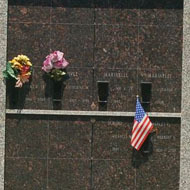 Calvary Cemetery began in the early 1940s, with a chapel mausoleum addition built in 1989. Today Calvary has 80 acres developed, and offers all choices of grave spaces and mausoleum crypts. 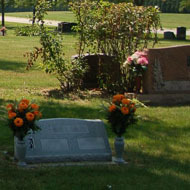 Graves are available with flush markers, slant markers and full monument lots. Cremation graves are available also, and we have both private cremation niches, outdoor columbaria, and indoor niches in the mausoleum. Throughout the cemetery, statues of Jesus, Mary, and the Holy Family enrich the the natural beauty of the sacred space. This past year bronze and glass niches were erected behind the altar in the indoor mausoleum. Infant graves are available. 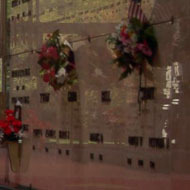 Mass is celebrated in the mausoleum the first Saturday of every month at 11:00 am. Click here to view photos from this facility.